A little history about this mission ... "Soon after the building of the Alamo, a second mission was founded in 1720 about five miles downstream. Named San Jose, this new mission was established by Fray Antonio Margil de Jesus, who had previously left a failed mission in East Texas. 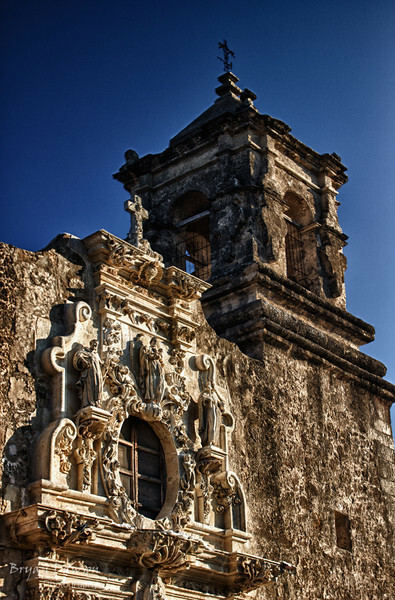 A model among the Texas missions, San Jose gained a reputation as a major social and cultural center. Among the San Antonio missions, it also provided the strongest garrison against raids from Indians."